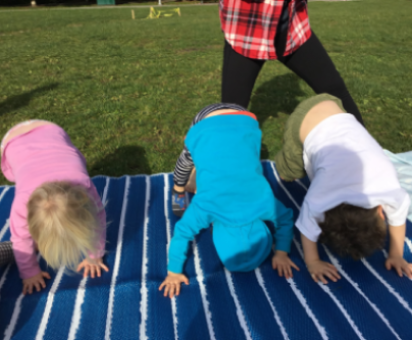 Take off your shoes and readhy for YOGA! Time flies! It's already November and we are closing Falling in Love Season. 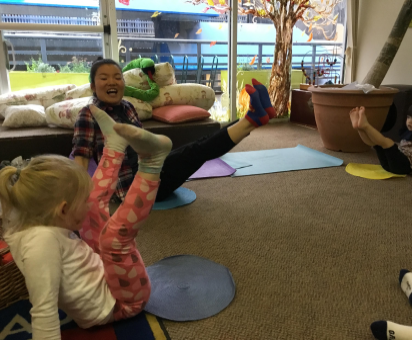 For the last two months, our Thursday Big Kids friends seemed to enjoy YOGA TIME very much. Lately some friends take off their shoes spontaneously when they see me holding Yoga mat. 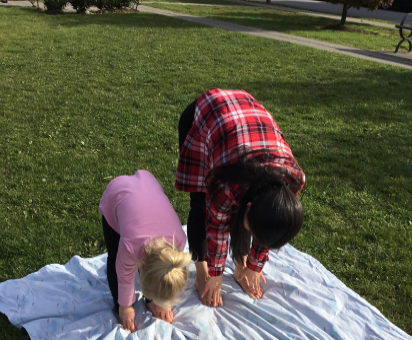 I've heard from some parents that they bring their child to Buddings specifically for Yoga and it means a lot to me! Feedback from parents and children always encourage us as teachers to try offering better quality of care. Expert of making Tunnel under the sun! Look! how flexible we are! 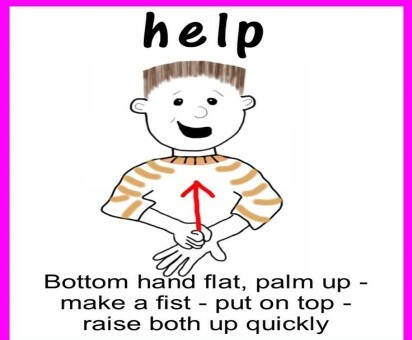 We've tried singing new songs in sign language! We've been going over Alphabet each week. With Using Phonics and games, they've enjoyed guessing which letter starts with each word. Even they didn't get it perfectly, they've always followed me quite well with singing Alphabet song together. Last two months. 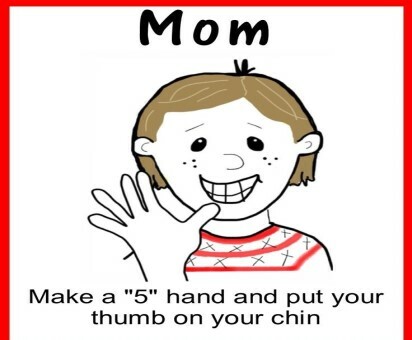 We've also tried practicing letters in Sign Language. They've done well with a specific song called "See it Say it Sign it" produced by Jack Hartman. This song is quite catchy and children appeared to love it! However...some sign language was a bit difficult for our little buddies. 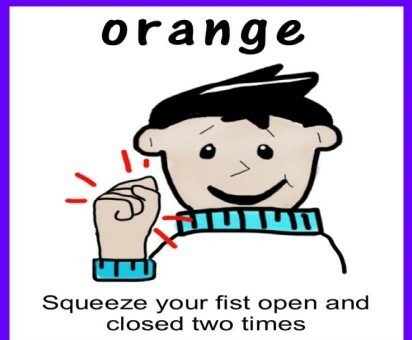 It's a great trigger for them to enhance their fine-motor skill though, I wanted to teach them more useful sign language for them after trying it with children for two month. Practicing songs in Sign Language! So...I've decided to try introducing more words instead of letters. "Please" "Thank you" were not new for them! "Baby" "Mommy" "Daddy" "Grandma" "Grandpa"
they've learning those in Sign Language by singing their favorite song "Baby Shark"
by singing "The more we get together"
It seemed new for most of buddies but great to see them trying following what I was moving my fingers with that song. 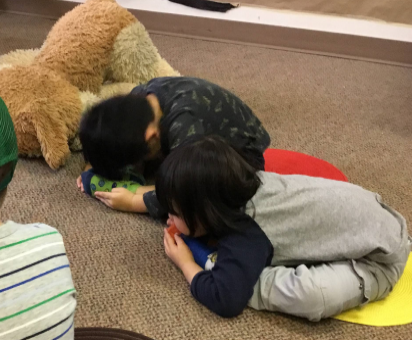 I introduced some sign language to our buddies to expand their expression and communication skills! There might not so many words in sign language they've learned through those three months though, I felt that it was great enough that they've gotten to know that there are another way to communicate with people and I hope this can be a trigger for some of them to get interested in learn more by themselves in the future. I feel personally sad about saying about goodbye to YOGA time because I saw lots of buddies enjoyed moving out their bodies so much! At the same time. I am really excited about new season coming up soon! Tomomi loves moving out her body so...you might be able to guess what's happening next for the next season. Stay tuned everyone and hope to see you soon!